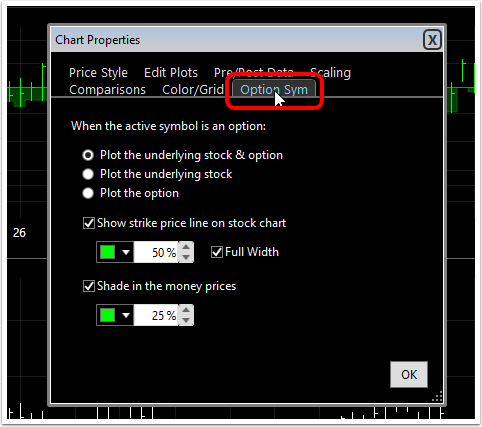 When an option is selected as the primary symbol, a green line represents the strike price for the option selected.. 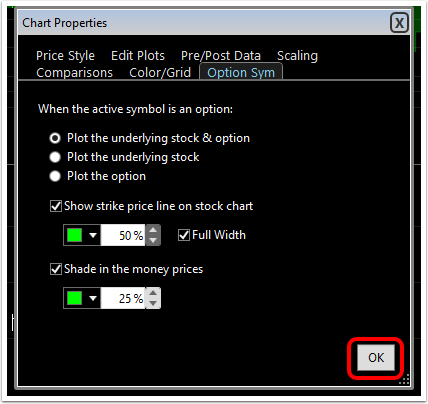 The underlying stock plot is shaded wherever the price of the stock is "In-the-money". 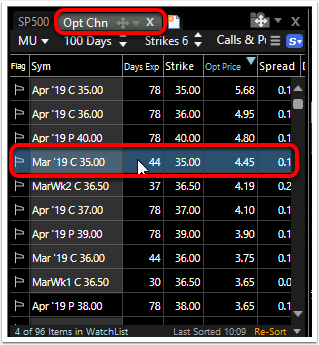 For a call, the stock will be shaded above the strike price. For a put, the stock will be shaded below the strike price. 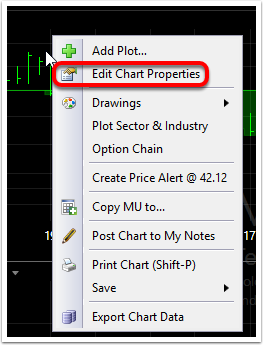 This plots the option with the underlying symbol on the same chart. 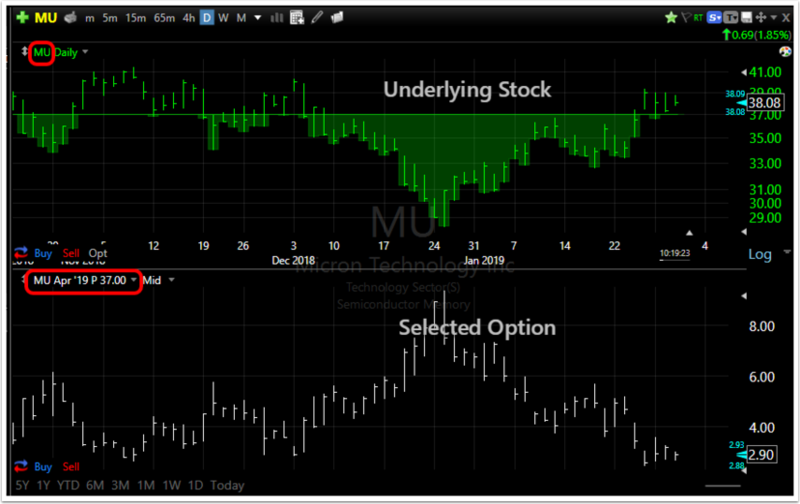 Note that the underlying stock has the green shading automatically above the strike price line (this is a call option). 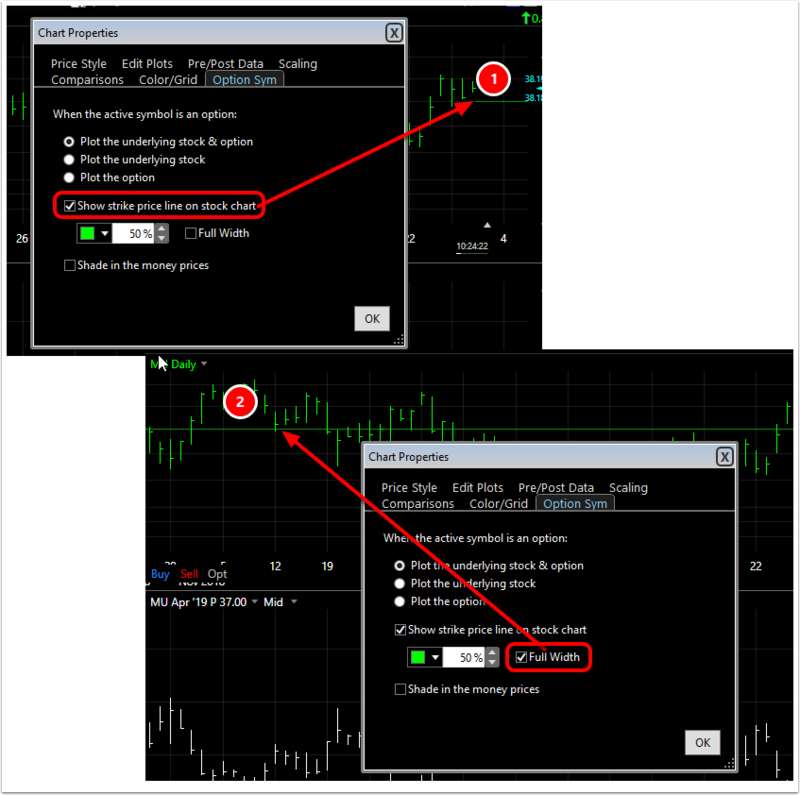 An example of the shading for a put option is below. 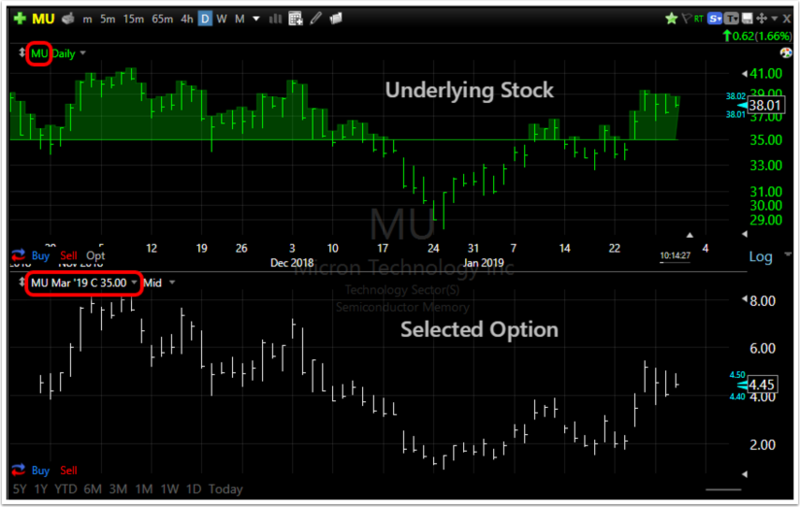 If you want to change or remove the shading form the underlying charts for options, right click on the chart and select Edit Chart Properties. Edit the strike price style/color/opacity plot. Use color selector for a different color than the default green. Use the percentage spinner to lighten/darken the line. 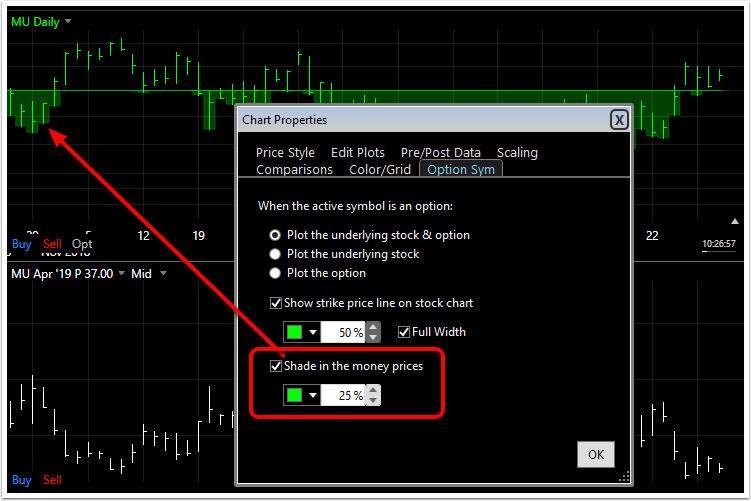 Show strike line as a line running the length of the chart. Edit the underlying shade color/opacity plot. Use color selector for a different color than the default green. Use the percentage spinner to lighten/darken the shading. Click OK to set the changes.